I rely on a 3 Pink Drinks to keep me calm, relaxed and stress free. The first is my evening Rose Water drink. I wish I could send you a sniff through the cloud, the smell is beyond delicious! The gorgeous rose petals banish depression and relaxes you. I take this at night, sometimes with a small piece of dark chocolate. 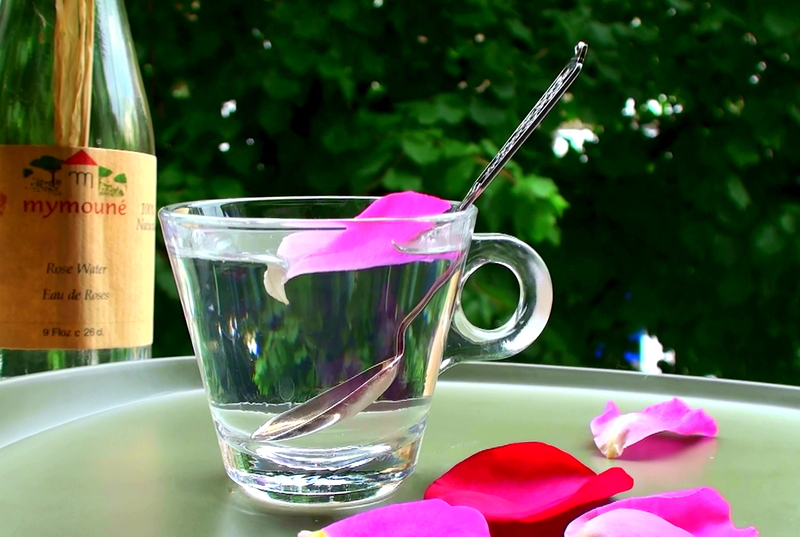 I add two teaspoons of a good quality Rose Water to a small glass of hot water. The next pink drink is my Sole,the liquid sunshine. 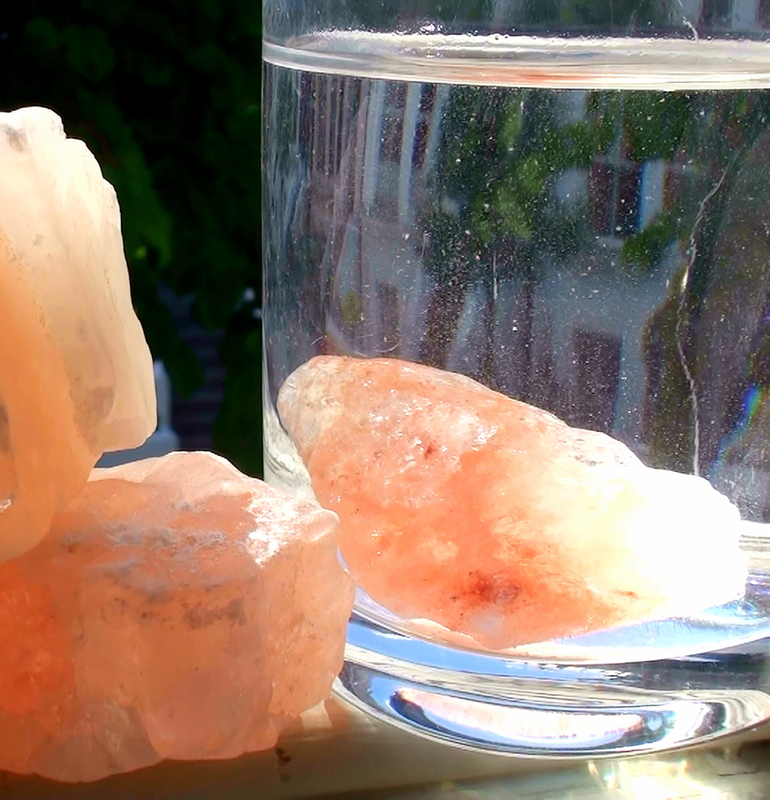 A teaspoon in a glass of water cleanses and replenish in the morning. Find out how to make Sole here. And the third pink drink is a special occasion drink, a glass of Champagne with a delicious Hibiscus Flower as garnish. Hibiscus tea was a favorite of Egyptian Pharaohs, It helps reduce inflammation and is an excellent source of vitamin C.
Put the hibiscus flower in a champagne glass add a teaspoon of the syrup and top up with bubbly, the bubbles make the flower opens up.